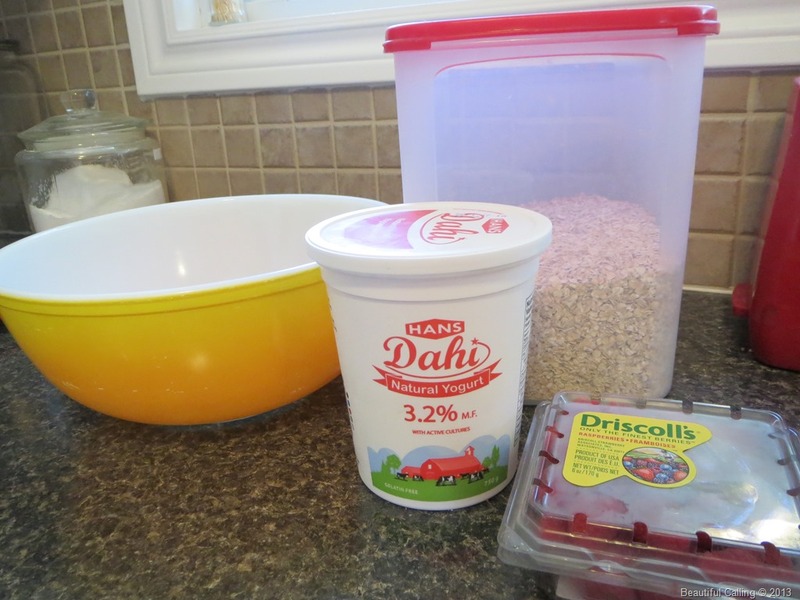 I saw this recipe for overnight oatmeal on Facebook today. Actually, it was the beautiful picture that enticed me really. Now unfortunately I eat neither oatmeal nor yogurt, however the rest of my family does so I made it for them. 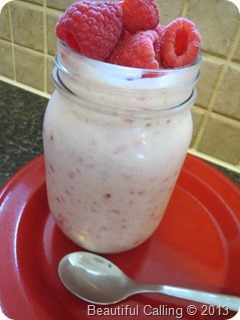 I used about 2 cups of Greek yogurt, 1/2 cup of dry oatmeal and 1/2 a cup of raspberries. If it is received well tomorrow at breakfast, I am going to make the next batch using some of our homemade peach preserves! I’ll update the post tomorrow to share how it went over with the family! 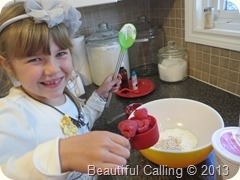 This post is under “Recipe Box” and has 1 comment so far. This sounds so good! 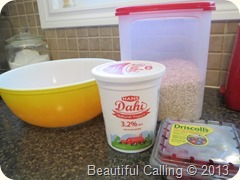 I never thought of putting raspberries in oatmeal. I bet it was wonderful!